Empower Schools was founded in 2012 by Chris Gabrieli and Brett Alessi after working on the Lawrence Public Schools transition from traditional school district to an “Open Architecture” model. Both Gabrieli and Alessi immediately saw the potential that the open architecture model had for improving student outcomes in other districts in Massachusetts and beyond and launched Empower Schools in part to bring the Open Architecture model and lessons learned to other communities in Massachusetts and beyond. Brett has dedicated his career to education improvement and innovation efforts across the country. After supporting the design and launch of the nationally heralded turnaround of the Lawrence Public Schools in Massachusetts, Brett co-founded Empower Schools and has led the organization’s expansion to Colorado and Texas. Prior to launching Empower Schools, Brett ran the New Initiative group at Massachusetts 2020. Previously, he led the Greater Boston region for Education Pioneers, a national nonprofit focused on developing leaders for the education sector. His work in the private sector includes designing and leading the corporate social responsibility efforts for Revolution Health, an early-stage venture backed by AOL co-founder Steve Case. Brett began his career as a classroom teacher and taught in public and private schools at the elementary and secondary levels before helping to start a think tank focused on youth civic engagement in Washington DC. 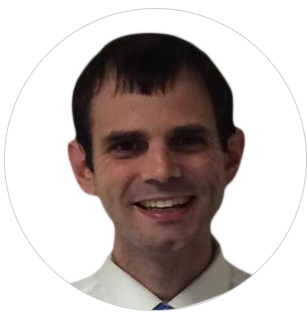 Brett graduated from Middlebury College and holds a graduate degree in education from Brown University. He and his wife live in the Boston area where they are raising their three young boys. 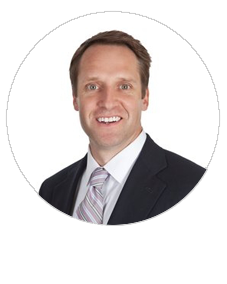 Carey’s work at Empower has primarily been focused on Texas projects. She has supported the design, launch and support phases of multiple partnerships across the state. 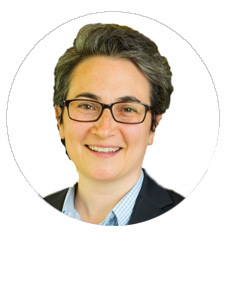 Carey joined Empower Schools after graduating from the Harvard Graduate School of Education with a master’s degree in Education Policy and Management. Prior to graduate school, Carey taught elementary school students with developmental and intellectual disabilities in Dallas, Texas. In addition to teaching, Carey has experience working in multiple organizations in the education sector, including a state department of education, a technical assistance organization, a protection and advocacy agency, and a program evaluation company. She holds a B.S. in Special Education from Vanderbilt University. Jack Elsey is the executive director of the Detroit Children’s Fund and is a Future Chief with Chiefs for Change. Prior to this role, he served as the chief schools officer for the Education Achievement Authority of Michigan, a district charged with turning around some of Detroit’s historically lowest performing schools. Under his leadership, EAA schools experienced student growth results that outperformed state averages. Elsey has also served as chief of innovation and incubation at Chicago Public Schools, assistant superintendent of Detroit Public Schools, a chief schools officer of Detroit Rising College Prep Schools and is a Broad Residency alumnus. He began his career as a middle school teacher in the South Bronx as a member of the Teach For America corps. 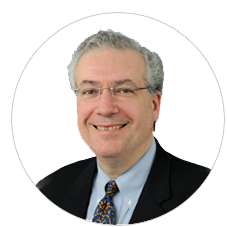 Chris Gabrieli is the CEO of Empower Schools, Chairman of the Massachusetts Board of Higher Education, and a lecturer at Harvard’s Graduate School of Education. He has been at the forefront of several movements to expand educational opportunity and improve schooling and has been the founder of three successful non-profit education innovation and policy organizations. Empower Schools partners with communities to help them get the schools they want with the results their students need focusing on creating sustainable systems of high-autonomy, high-accountability schools under innovative governance. Empower has partnered on successful efforts in this manner in Lawrence, MA, Salem, MA, Springfield, MA and Denver, CO and is working in a number of other states and districts across the country to advance this Third Way forward for greater opportunity for students, especially the most disadvantaged. Chris has also been the co-founder of the National Center on Time & Learning, the pioneer of the expanded learning time policy movement and of Transforming Education, a leader in policies aimed at measuring and valuing non-cognitive skills in students and schooling. Chris is a Partner Emeritus at Bessemer Venture Partners where he helped entrepreneurs build biotechnology and healthcare companies and began his business career as the founder and CEO of GMIS, a medical software company that became the leader in its field and a publicly traded company. Chris has been active in civic and political life in Massachusetts. Chris and his wife live in Boston where they have raised five children. Mary Beth provides direct support to the Co-Founder and CEO of Empower Schools. Prior to joining Empower Schools, Mary Beth was the Executive Assistant to the CEOs of the National Center on Time & Learning and the YW Boston. She has over 10 years of experience supporting C-Level Executives and has been on the Leadership Team of Boston Executive Assistants since 2017. Mary Beth holds BFA in Painting from the Savannah College of Art and Design and an MA in Contemporary Art from the Sotheby’s Institute of Art in London. Breanna supports Empower’s work in Massachusetts, Colorado, and Indiana. Breanna is involved in the design of a new Empowerment Zone, supporting current Zone leaders, and policy work in advocating for Zones. 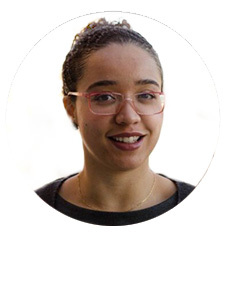 Prior to joining Empower Schools, Breanna was a Research Assistant for the Education Policy faculty at George Washington University, working on various research projects relating to charter schools, school improvement reforms, and district policies. Before turning to research, Breanna spent five years as a high school teacher in Boston, including heading the History Department and leading the Response to Intervention program. Breanna has a B.A. in History & International Studies from Stonehill College and an M.Ed. from UMASS Boston in Curriculum & Instruction. She is currently a candidate for a Doctorate in Education Policy & Administration from George Washington University. 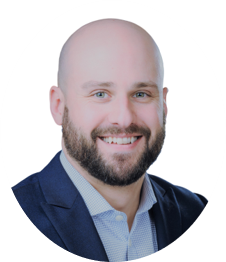 Matt plays an active role in Empower’s work across the country as part of his commitment to building systems that empower educators and lead to student success. He led the design and launch of the Springfield Empowerment Zone Partnership, working closely to help execute the innovative contracts that enabled the Empowerment Zone and then coordinating the first year of implementation. While at Empower he has also helped to launch six additional Zones and has supported Empower’s national efforts to promote school autonomy paired with accountability. 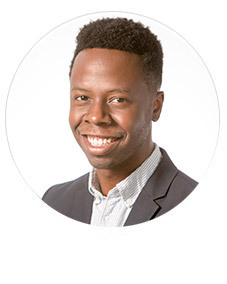 Before joining Empower Schools, Matt was the Director of Human Capital Investments at New Schools for New Orleans and the Director of Innovation and Talent for Lawrence Public Schools in Massachusetts, working with teachers, administrators, and education organizations to help support effective teaching and learning. He also taught middle school English for five years and is currently the board chairman for the nonprofit organization Teach Western Mass. He is an alumnus of Teach For America and Education Pioneers and also worked for several summers with the Breakthrough Collaborative. Matt has a B.A. in English and a J.D. from Yale University. Cara oversees Empower’s work in Massachusetts and Colorado. In Denver, Cara was involved in the design, approval and launch of two new Empowerment Zones and also supports current Zone leaders through the Denver EdLead Fellowship. 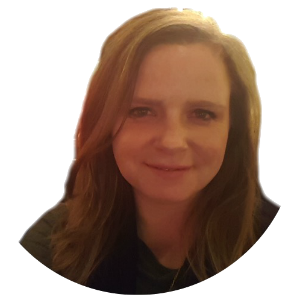 Before joining Empower Schools, Cara was a Consultant at The Boston Consulting Group, working on strategy and large-scale project management with both non-profit and for-profit organizations. Prior to BCG, Cara was a public school teacher in Boston and Brookline, MA, teaching social studies at the high school level. Cara graduated from Brown University with a B.A. in History and has an Ed.M. from the Harvard Graduate School of Education and an M.B.A. from The Tuck School of Business at Dartmouth. Janine Pires is a business operations professional with a track record in accounting, finance, payroll, and fundraising roles in the nonprofit sector. 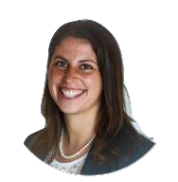 Prior to Empower Schools, Janine was the Staff Accountant & Schools Business Manager for the Boston Plan for Excellence, an education organization operating a PreK-12 pathway of neighborhood based teaching academies. Janine seeks to continually merge the skills acquired, from her BA in Logistics & Operations Management mastered projects’ portfolio from Southern New Hampshire University, with her passion of building and supporting an education system that advances equity. 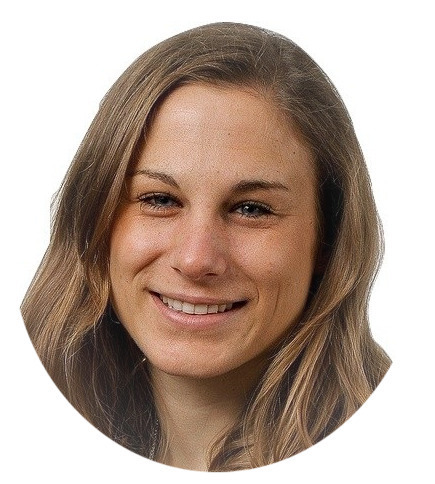 Sarah currently leads our partnerships in California and Indiana and supports districts and communities across the country explore, design, and launch Zones of autonomous, empowered district schools. In Massachusetts, Sarah supported in the launch and initial implementation of the Springfield Empowerment Zone Partnership. Prior to joining Empower Schools, Sarah worked at TNTP where she supported the implementation of New York City’s teacher development and evaluation system. Previously, Sarah was a Program Manager with City Year San Jose/Silicon Valley where she managed a team of AmeriCorps members and worked closely with the school community to help transform the school’s culture and provide targeted support to off track students. Sarah began her work in education teaching high school biology on the South Side of Chicago. Sarah has a B.A. in Biology and Anthropology from the University of Michigan, a M.A.T. from National Louis University, and a M.Ed. from the Harvard Graduate School of Education in Education Policy and Management. Chazz’s interests include scaling innovative and equitable school models to increase the opportunity to succeed for all students. Prior to joining Empower Schools, Chazz was the Director, Fort Worth Alumni Program for Teach For America. In previous roles, he planned and implemented an internship program for high school students at The Innovation, Design, Entrepreneurship Academy in Dallas Independent School District. He also led a policy fellowship aimed at exploring new local policies to improve talent pipelines and implementing district-charter partnerships. He began his career in education, teaching world geography and English at the middle and high school levels. 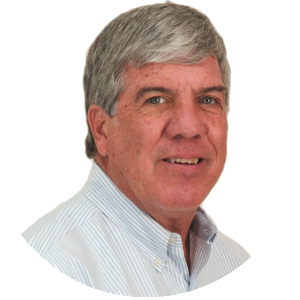 Joe has thirty-six years of experience in public education as a superintendent, assistant superintendent, principal, and teacher. He served as Superintendent of the Weymouth Public Schools in Massachusetts, a seven thousand student school district. Before joining Empower Schools, Joe Rull was a Senior Director of State & District Engagement at the National Center on Time & Learning (NCTL). In this role, Joe worked with schools in Alabama, Colorado, Delaware, New Jersey, Oklahoma, Rhode Island, and Hawaii. His work included guiding schools through an extensive planning process, implementing expanded learning time, and providing educators with on-site coaching and technical assistance. Since 2007, Joe has been an educational consultant focusing on school redesign initiatives. In addition to his work with NCTL, he has been a School Change Coach for the Center for Secondary School Redesign. Currently, he also serves as a mentor for newly appointed school and district administrators in Massachusetts. Joe’s public service roles have included president of his local teachers’ association, elected school committee member for six years, officer and director of the Massachusetts Elementary School Principals Association, and member of the Federal Relations Network for the Massachusetts Association of School Committees. An alumnus of the Education Policy Fellowship Program from the Institute for Educational Leadership in Washington D.C., Joe has been a presenter at both national and state administrator conferences. 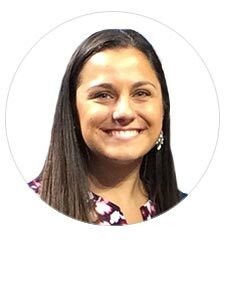 Alyssa serves as the Texas Director at Empower Schools, responsible for leading and sustaining district and zone partnerships to design, launch, and advise networks of autonomous district schools. She has worked with 7 districts in Texas to launch innovative in-district zones and networks that empower educators and drive student success. 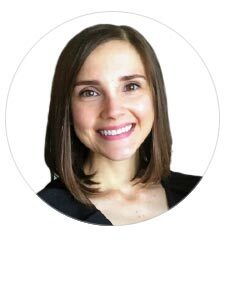 Before joining Empower Schools, Alyssa was a Senior Associate Consultant at Bain & Company, working with both for-profit and nonprofit organizations on strategy, performance improvement, and organizational design. She also worked as a Strategy Analyst with Education Pioneers and later served as an Education Pioneers Graduate School Fellow in New Orleans, where she helped Crescent City Schools and FirstLine Schools improve their human capital practices. Alyssa has a B.A. in Political Philosophy, Policy, and Law (PPL) from the University of Virginia and an M.B.A. from Harvard Business School. Alyssa is based in Austin, Texas.